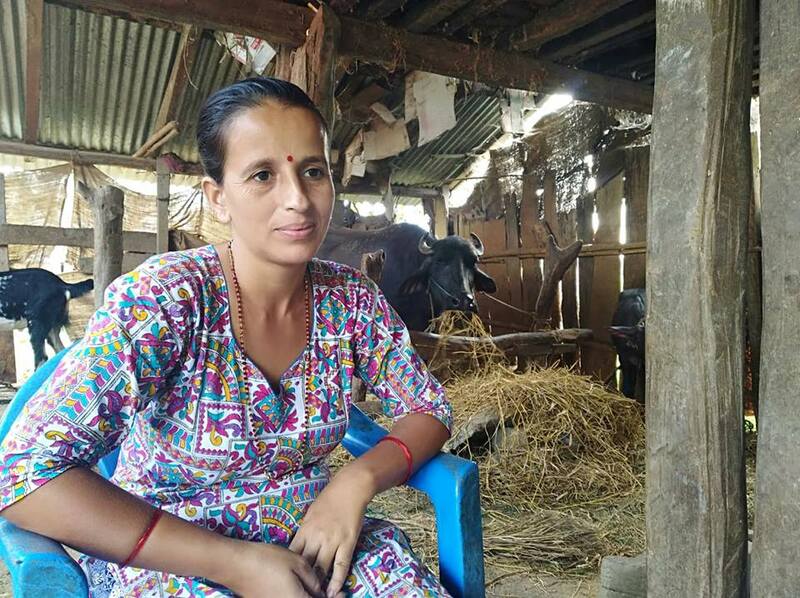 During the My Business My Freedom microfinance orientation program in Chitwan region, Devaki told her problems to the facilitator. She had been trying to save some money to buy some buffalo but she couldn’t save enough. Seeing her spirit to be independent, the My Business My Freedom manager offered for Devaki to join the program. After her training, she was granted a Rs. 50,000 [AU$594] microloan. Now she was able to purchase a female buffalo. She was blessed with a pregnant buffalo so her financial return began very quickly. The buffalo gives around 8 litres of milk everyday. She sells the milk for Rs. 50 [AU.59c] per litre. Besides selling milk, she also sells ghee made out of the milk in the market. The income has been so helpful for her family. She is faithfully making her loan repayments and out of her extra income, has bought a she-goat. Devika is the leader of one of the microfinance groups in the My Business My Freedom project and has been an advocate for this work in her community while being able to give her two daughters an education and a bright future.